You`re looking for work or job qualification? You`re not sure which steps you should take next? 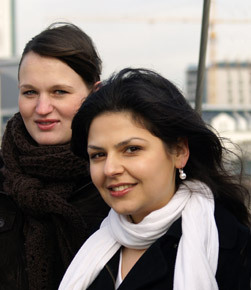 You`ve had basic German language training, but you need more practice? We can give you the training you need NOW! Join a group of young women who share a common wish: to find their place in society, jobwise and socially. Monday to Friday, 9.00 a.m. to 1.30 p.m.
For dates and location see "Aktuelles". The training is free. If needed, we will pay your public transport ticket. You`re interested and want to find out more? Call or mail us any time. See "Kontakt”.